Confused by the process of applying for financial aid to help pay for education after high school? Looking for tips and techniques to maximize the amount of grant and scholarship funds that you or your child might be eligible for? 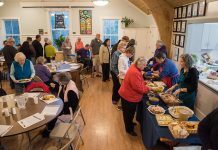 According to a press release, on Tuesday, Oct. 9, from 4:30 to 5:30 pm the West Tisbury library, presents noted student financial aid expert Nancy Sinsabaugh, who will conduct a workshop explaining and answering questions about loans, grants, and scholarships to finance a post–high school education. This event is free and open to the public. Refreshments served. For more than 30 years, Nancy Sinsabaugh has worked in the field of financial aid, consulting with colleges and universities as they assist students seeking ways to finance their education.